Grace Coulter has been hiding in the kitchen of her family restaurant since she was eight years old. That's when the name-calling began. Stretch, skinny-minny, boy in girl's clothes, all because of the slender height that had her towering over even the tallest boys in the class. Now, nearly thirty years later, Grace is head chef of the failing restaurant and still hiding in the kitchen. Like many businesses during the current recession, Coulter's may have to start laying off employees or even close. But Grace has a plan to save the restaurant and the people she's known all her life; a plan that will force her to go out into the world and face her fears. Loved this Novella. Listened to the audiobook and really enjoyed it. A light, good quality read with endearing characters... And food! Audiobook is well done and the different character are wonderfully done! What made the experience of listening to A Slice of Life the most enjoyable? I enjoyed this story because I can relate to the main character's shyness. Hank the bus driver was my favorite character because he seemed to be such a nice guy. What aspect of Gail Shalan’s performance would you have changed? Although Gail Shalan's narration was okay, I didn't particularly like her voice. As I listened to this novella, I thought about how I wish I'd heard this story as an adolescent. Like the main character, Grace, I was gawky and shy growing up. In this story, Grace begins to shed her gawkiness by starting a project she feels passionately about and interacting with others who help her feel more socially adept. It's a short story with a wonderful message, and a great reminder that feeling shy doesn't need to hold a person back from achieving their dreams. This was a cute, fun story with a little romance built in. I enjoyed reading about Grace grow and experience new things and I love how she helped someone else do that. Hank is a sweet guy that made everyone feel good and a great father. Great ending, can’t wait to read the Christmas book with these characters. Great narrator. I downloaded this short story after reading about the author and the story on BearMountainBooks. It's a charming and heartwarming short listen that is easy to follow. The heroine has led a life that centers around the family business. She does not draw attention to herself. Financial circumstances push her out of her shell and the world opens up to her in positive ways. She's a late bloomer and that is the essence of her charm. The narrator has a young voice, which I felt added credence to the story as the heroine was shy and unassuming. I enjoyed the narrator's quiet, soft-spoken tone. 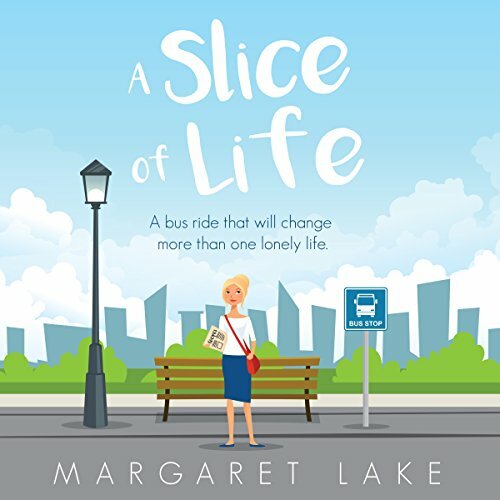 I recommend A Slice of Life as a quick, happy listen that will make you smile. A study of a woman and a little girl who have been traumatized by cruel people and circumstances.